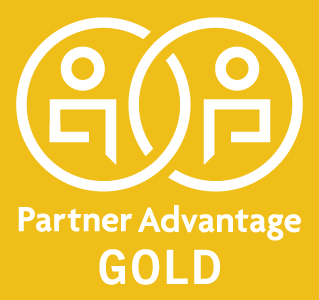 Open Sky Group (Open Sky) today announces it has achieved Gold Member Reseller status in the new JDA Partner Advantage Program. The program, designed to foster and strengthen collaborative relationships between JDA and its strategic partners, is being rolled out to its partner community. Open Sky Group, a consulting firm specializing in the implementation of Warehouse, Labor and Transportation Management software, is one of the first to sign up for this new program. The JDA Partner Advantage Program is designed to offer its partner community greater opportunities to engage in joint collaborations with JDA, as well as drive innovative solutions to market. It offers a tiered partner structure with benefits ranging from access to knowledge portals, education and training and market development funds. Learn more about JDA Partner Advantage here. JDA Software is the leading provider of seamless supply chain planning and execution solutions for retailers, manufacturers, logistics providers and wholesale distributors. Our unmatched solution portfolio enables our clients to reduce costs, increase profitability and improve visibility so they can deliver on customer promises every time. More than 4,000 global customers run JDA, including 73 of the top 100 retailers, 71 of the top 100 consumer goods companies, and 13 of the top 16 3PLs. With JDA, you can plan to deliver. Open Sky Group (Open Sky) is a consulting company specializing in services for WMS, Labor and TMS software implementations. Open Sky is also an Authorized Reseller of JDA Warehouse (WMS), Warehouse Labor (WLM) and Transportation Management (TMS) software. Named twice to the Inc. 5000, an exclusive ranking of the nation’s fastest growing private companies, Open Sky strives every day to be the best consulting partner on the planet for implementing Supply Chain solutions. The prior training and overall support provided to our team members has been outstanding…and our employees have noticed. The professionalism and attention to detail has made the difference. The entire Open Sky Group team has been fantastic…which has led to the successes of this JDA WMS upgrade go-live. Hats off to the Open Sky Group team!! !